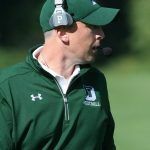 Coach Barbato enters his 3rd season as the Varsity Head Football coach after joining the Deerfield community in the fall 0f 2015. Barbato spent the 8 years coaching at his alma mater the University of New Hampshire, where he coached the Tight Ends, Offensive line and special teams. During his time with the Wildcats, UNH went 66 and 26 and maintained the longest streak of playoff appearances in the FCS. The Exeter, N.H., native graduated from UNH in ’04 with a degree in Sociology. He started 37 games during his playing career while seeing time at all five offensive line positions. He was named All-Atlantic 10 Second Team in 2003 and All-Atlantic 10 Third Team in 2002. Barbato also coached outside linebackers and safeties at St. Lawrence University for two seasons while earning his Master’s of Education. His hobbies include downhill skiing, fishing and golfing. Brian lives in Field I with his wife Carly and two sons Charlie and Teddy. Roger joined the Deerfield Academy lacrosse staff in the Spring of 2015, bringing over 40 years of lacrosse experience to the program. A former player at the high school, prep school, college and club lacrosse level, he has remained active in the lacrosse community. Roger was the varsity head coach at Northampton High School (Northampton, MA) and more recently involved with coaching the Amherst Youth Lacrosse program in Amherst, MA. Roger is also an assistant coach with the Slovakia National Lacrosse team heading to the World Games in Netanya, Israel in July 2018. 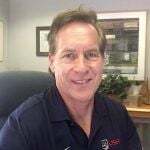 Roger has attained his Level 3 Certification from US Lacrosse in Sparks, MD. Roger and his wife Joey have resided in Deerfield since 1984.